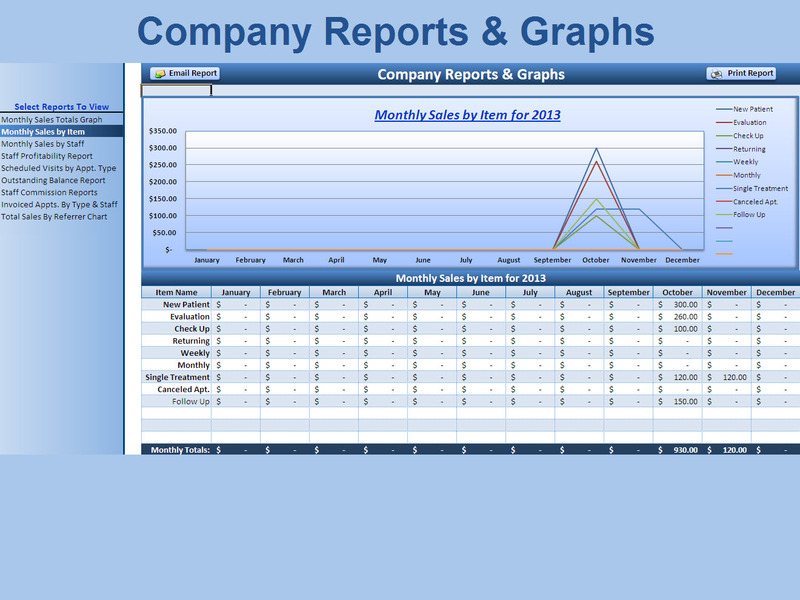 This All-In-One Excel application can run your entire business. 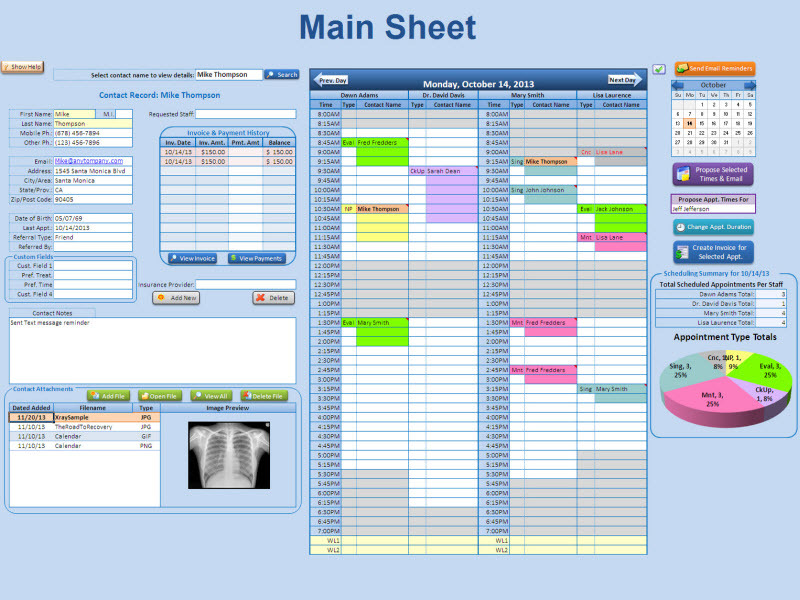 Nearly any type of company that schedules patients, contacts or customers can use this simple but powerful scheduling, invoicing and tracking application. Schedule up to 4 different staff and more than 50 appointments per staff quickly and efficiently. 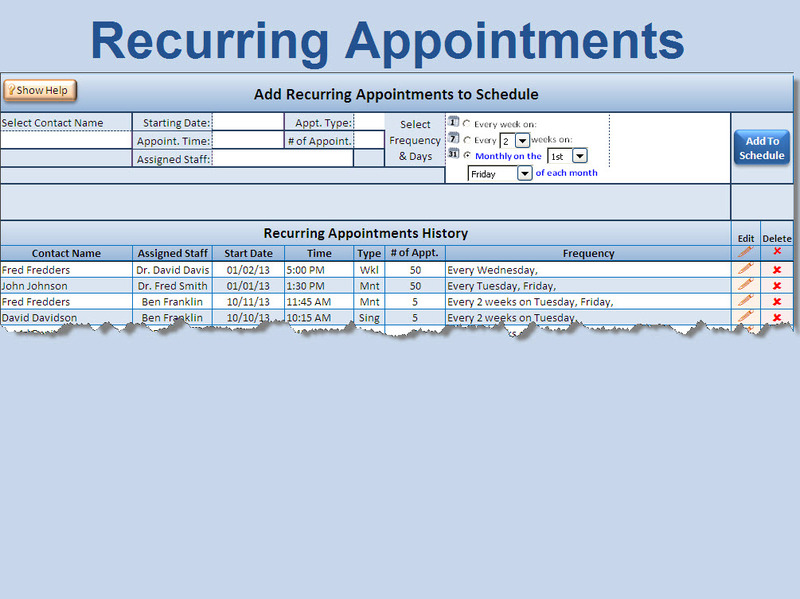 Adding, Editing and Viewing important contact or patient information on a single click or hover over the appointments to view any Contact info. 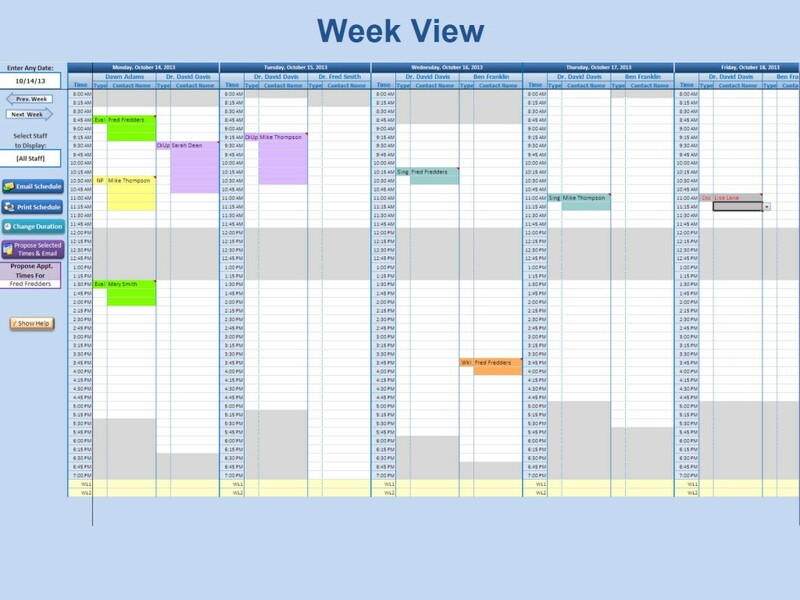 Scheduling different staff on different days of the week with completely independent schedules is very simple with our intuitive Setup screen and can be updated at any time. Set appointment intervals to 10, 15, 30 min and 1 hour to accommodate any type of business scheduling with appointment duration's as short as 10 min or as long as 23 hours. 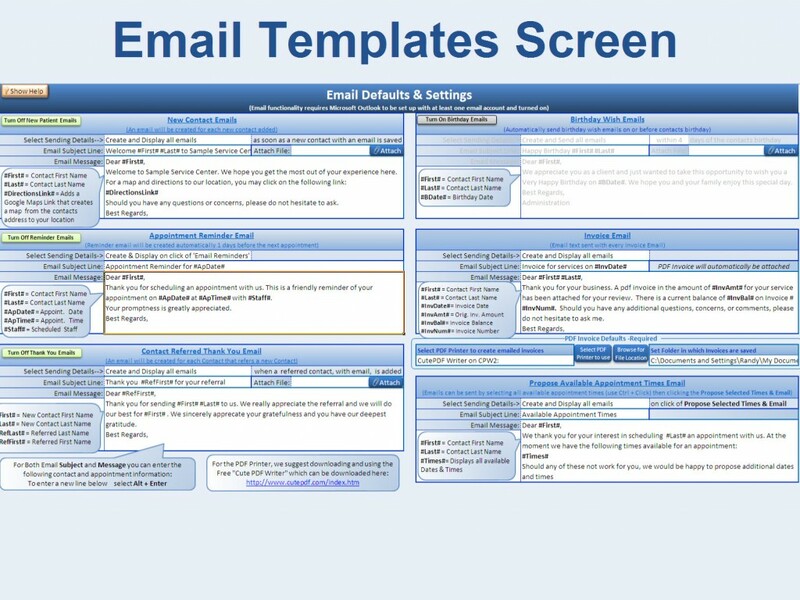 Automatically send appointment email reminders at a time you specify with specific appointment, contact and assigned staff information within the Subject and Body of the message. Send Automated Birthday Reminders, Automatic Emails New Contacts with Attachments, as well as Contact Referral Thank You Emails when an existing contact refers a new contact. 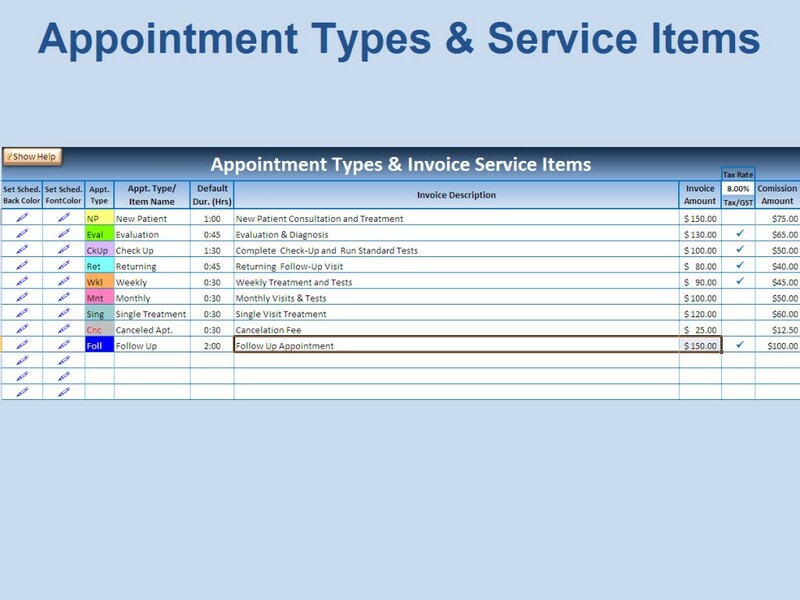 Create up to 30 Appointment Types each with customizable background and font colors as well as a default duration and automated Invoice Description and default amount. 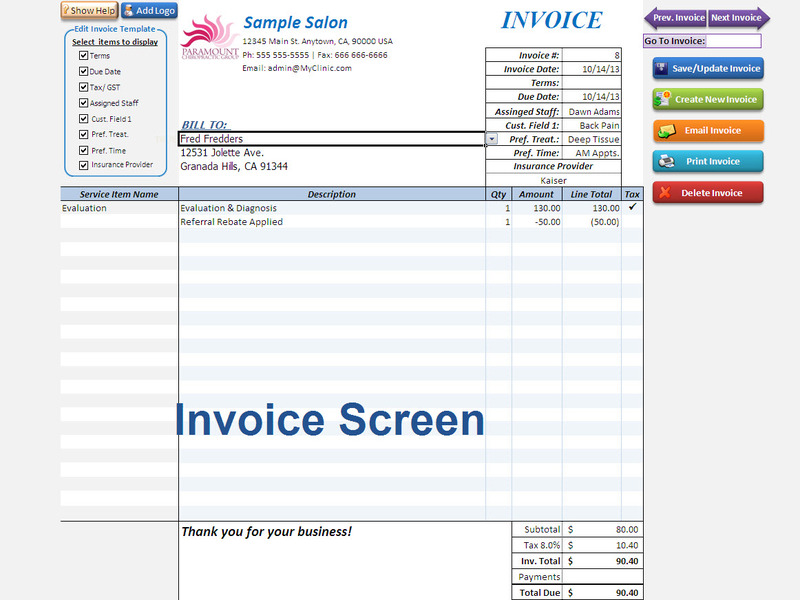 Create Invoices from existing appointments with a single click and automatically create and send pdf invoices using 1 of our 6 customizable E-mail templates. 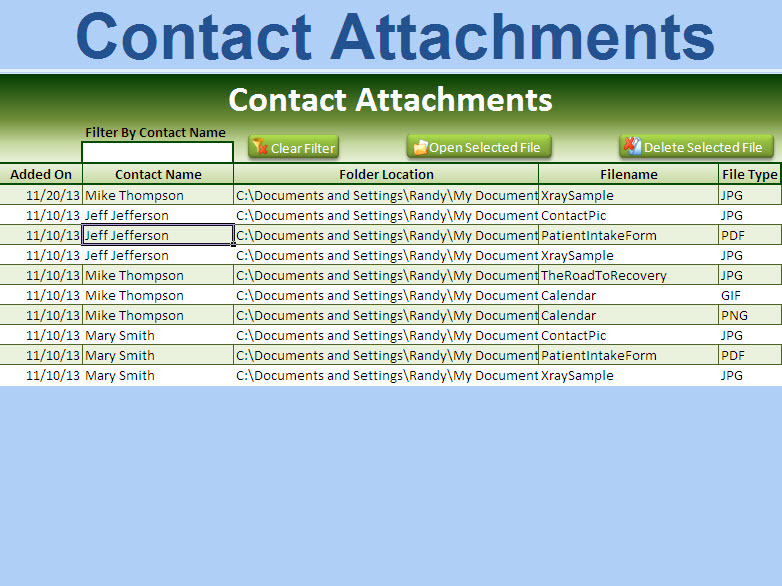 Auto-Complete of Contacts makes scheduling quick and easy, just start typing in the Contact name, and the entire name will automatically fill in the provided space. No more searching through long drop down lists. 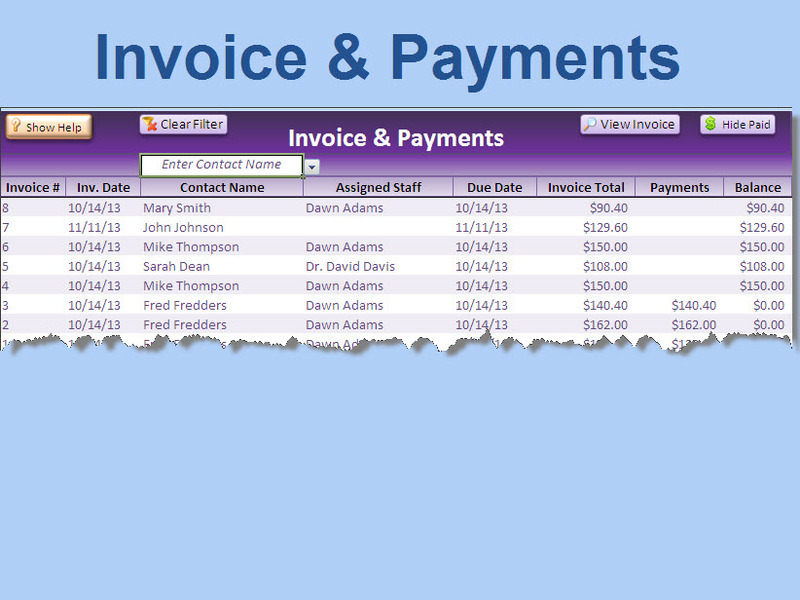 A complete transaction history through our Invoice & Payments screen and a list of unpaid invoices can be displayed on a single click. Download our fully functional Free Trial version today, view a complete YouTube Tutorial below or make your purchase today and get an automatic download of our full application, with no future purchase obligations and unlimited future use. 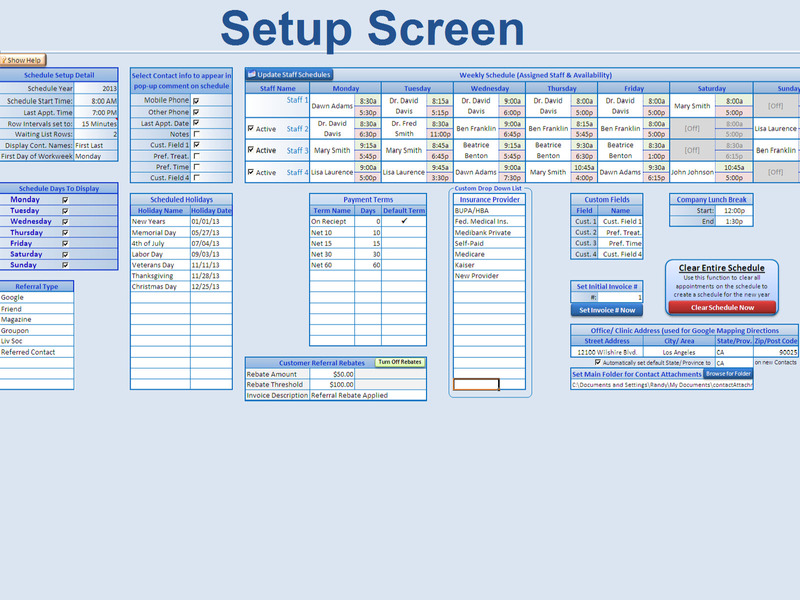 Download a Fully Functional FREE Trial Version Today. Click on the following button to make a quick and secure PayPal payment. (PayPal account is not required).